Filed to: phil!Filed to: phil! O, glorious Phil! What new miracle will you deliver unto the people of Pittsburgh? How about a goal during a sponsored two-minute promotion that provides all the Yinzers with free burgers? 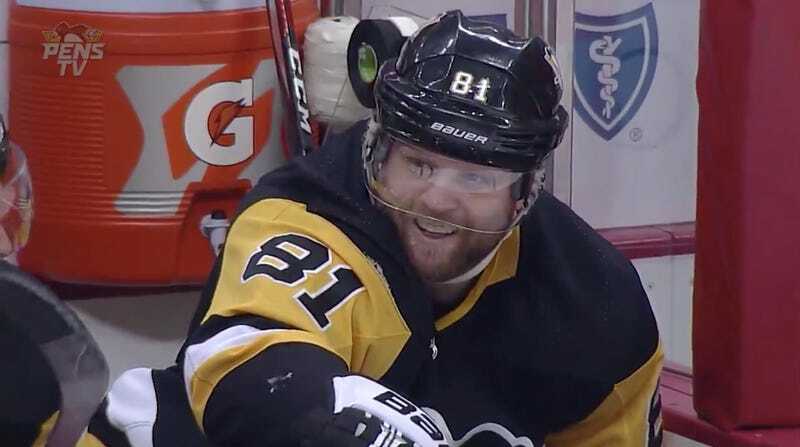 In Thursday’s 4-1 win over the Red Wings, Kessel notched two goals and an assist as the Penguins clinched a playoff spot. The crowd was most grateful for the complimentary burger, though, and the hockey player appreciated the praise. Phil achieved the feat this past December, too. Truly, he is a man of the people.